If you have trouble viewing the subtitles, go directly to the full youtube.com version, where you can click the advertisement out of the way. Below are several nomination categories for a Paranormal "Best of" that I will put together later. As for now, I am looking forward to reader feedback on who and what should be included as the nominees. If you also have suggestions for additional categories (and who or what should populate that category), please feel free to submit those as well. Don't worry about e-mails, etc.. I'll make this easy: just put your suggestions in a comment. I look forward to reading what everyone thinks. And to make things simple, we will be using "paranormal" as a catch-all term to encompass various disciplines: Ghosts, Cryptozoology, UFOlogy... I know some don't like the term, but it is the most accurate and inclusive. The latest costumed shennanigans to make the rounds in cyberspace. With their legal disclaimer that avoids any claim of authenticity, one has to wonder if this isn't a guerrilla (should that be gorilla?) marketing scheme for some forthcoming work. In January, reports came from Adair and LeFlore Counties (Oklahoma) regarding inexplicable vibrations that could be felt as well as heard. Similar reports came from residents across the border in Arkansas as well. The sound had been described uniformly as a distant rumble. After checking with local mining companies, Sequoyah County sheriff Ron Lockhart rule out blasting as the cause. The mystery was further compounded when local news media, 40/29 News, reported that the noise wasn't the result of ordinance testing by local military installations. The strangest data (or lack thereof) came from the Oklahoma Geological Survey, which determined that no tremors had been detected that corresponded to these reported rumblings. Some have postulated that, if the atmospheric conditions were just right, the concussive rumbling of military ordinances could travel nearly 100 miles, which they did years before. A weapons demonstration, taking place near Ft. Sill, in the Wichita Mountains, was heard 80 miles away. However, this isn't the only place strange rumblings have been heard - or the only time. Nearly a month later, in Minneapolis, MN, reports had come in of similarly inexplicable "explosions". Beginning just after Valentine's Day, in the early hours of Sunday, February 15, residents such as Matt Gross heard a loud bang that seemed to come from 20 blocks away. Over the next 24 hours, three loud explosions were heard and reported by a number of locals. But this wasn't an isolated case. Over the past year over 100 booms had been reported in the Minneapolis area. Most of these were at night and usually on a Wednesday or Friday. Nearly half of these reports are centered on the Mississippi River, between Lake Street and Ford Bridge. Lt. Dean Christiansen, who is investigating the mystery, believes most are will remain unexplained. Although theories have been presented, from fireworks to terrorism (catching the eye of Homeland Security at one point), no one has been arrested and the booms haven't been explained adequately. Are explanations such as exploding transformers likely? Perhaps in explaining at least some of them, yes. It is likely to assume that at the height of the booms, someone mistook at least one transformer explosion for this strange phenomena. But, in digging deeper, we learn that the noise has been heard far back in time, prior to exploding transformers. What sounds to some like cannon fire has been reported around Rabun County, Georgia for generations. These blasts are often preceded by a screeching or keening sound, like babies wailing. They are, like the Minneapolis mystery, often heard at night. The first written account comes from an 1897 issue of the Monthly Weather Review. 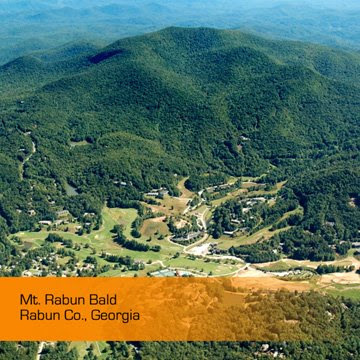 Two men were camped atop Rabun Bald, the highest mountain in the area. At around 10 o'clock that evening, a booming began that lasted for several minutes and seemed to be coming from the earth itself. Every so often, throughout the night, the sound would begin again and cycle for a few minutes before receding once more. Upon returning to town, locals told them it was probably bears rolling boulders down the hillsides as they searched for hidden grub worms and insects. But years later, after Black Bears had been hunted to near-extinction, the blasts were reported still - often by tourists trekking the new highways that had finally pierced the forbidden backwoods of Georgia. These travelers, from other states would never have heard the local legends and likely didn't make up the tales they told. Heading north, one can find the "Seneca Guns" of the North Carolina coast, which have been known to rattle windows and doors. These booms differ somewhat in that they are only heard during the day. Reputable people like Jim Lanier, one-time director of the North Carolina Aquarium in Ft. Fisher, have reported hearing the eerie sounds. He said it sounded like artillery fire. But, once again, no military explanations panned out. Other scientists have, however, pinned the blame on large chunks of the continental shelf eroding in to the depths offshore. Lanier dismisses this theory, citing that the slope in this area is far to gentle to break off in large sections. What explanation (or explanations) exist to lay these mysterious rumbles and booms to rest? Are as-yet-known seismic forces at work, or does the answer lie in the acoustic anomalies of our atmosphere? Perhaps it is another meme that arises from our collective imagination, but if so, we must congratulate ourselves on dispersing the legend so widely. When you factor in the extremely small number of people who would want such a procedure as tattooing the whites of one's eyes blue (or pink or green); the small number of tattooists willing to venture down that doubtlessly lawsuit-strewn path; and tiny percentage that something could go horribly, HORRIBLY wrong, you would come up with an equation with probabilities so remote, they would make the Drake Equation seem like a sure bet. But that's not stopping the Oklahoma legislature from moving forward with yet more needless legislation (an Oklahoma tradition, if you didn't know). Senate Bill 844 passed unanimously through the Health and Humans Services Committee at the behest of opthamologists who see the trend as dangerous, with the potential for blindness. However, a local Oklahoma City tattoo artist, Jason King, stated that "you could probably count on one hand" the number of individuals in the United States who have eyeball tattoos. King believes the legislature is again trying to "advance a moral agenda and save us from ourselves." Many would agree. It has only been a couple of years since tattoo shops were made legal in Oklahoma. Before that, those who wanted to get inked, fled south to Dallas - taking their cash with them. Gambling was another Oklahoma milestone, as it made tentative in roads via legalized gaming on Native American reservations. So, to some, this needless bit of legislation bodes poorly for the social and economic advances that had begun. Not too many years back, Oklahoma ranked in the top five for highest paid state officials while ranking only around 47th for money spent on education. Consistently, issues such as legalized tattoos, gambling, and lotteries were shot down by the "moral" majority while the state languished in economic recession. Why does this matter to eyeball tattoos? Perhaps it doesn't, but it is symptomatic of the mindset at the capitol. 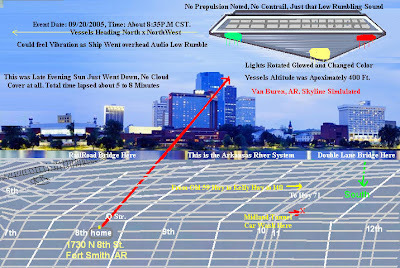 Back in September of 2005, a family from Fort Smith, Arkansas spotted what appeared to be a UFO emerging from a "wormhole" in the sky one evening. The incident began with a low ruble the turned their eyes skyward. There, approximately 400 yards up, was a strange craft the witnesses claim was as wide as two city blocks. The principle witness had claimed sightings of odd craft to her family before. If they had doubts, those doubts were now vanishing as they stood on the porch watching this UFO disappear toward the Arkansas/Oklahoma border. Days later, the witness claimed a strange, persistent itching sensation arose that lasted for weeks. Thinking that perhaps radiation was involved, the witness sends a summary of this event in to renowned radio personality George Noory. Later, the computer the witness uses at home had become mysteriously erased. All data was gone. In the description, the "event" seemed to last long enough that someone could have taken the time to grab a camera - even if that meant going next door to borrow one. Surely, anything that large would have been spotted by countless witnesses. There is only this tale with no pictures, only a witness diagram. The even happened in 2005, and I assume the story was posted more recently, yet the witness still claims the effects of the craft. However, he/she states that the cause is as yet unknown, and no mention of a physician is made at any point. If one was truly concerned about some bizarre radiation and their health... Need I say more. Lastly, computer hard drives can get wiped or corrupted for any number of reasons, including viruses picked up while trolling websites to bolster one's own paranoid UFO delusions. I know it might sound as if I am being unduly harsh on this witness. But, frankly, is this not the same word-of-mouth testimony that we've heard countless times before? Has UFOlogy been relegated to census takers? Are UFOlogists the file clerks of paranormal phenomena, ceaselessly taking notes, cross-referencing, and filing away uncorroborated witness statements? If we are to move beyond this, move into a sphere of closer scrutiny and better understanding, we need to begin to separate the wheat from the chaff. This is, in my humble opinion, surely the chaff. It's that time of the year again: Fat Tuesday, or Mardi Gras, as the French say. Also known as Shrove Tuesday (for we of Irish and British descent - pancakes, anyone? ), this holiday marks the last day before the Lenten season begins on Ash Wednesday. It is a time, traditionally, to be a glutton and clean out one’s food stores in preparation for the fasts of Lent. During the preceding Mardi Gras or Carnival season (as it is observed in other countries, especially in Latin America), boisterous parades, filled with the crush of party-goers, shine brightly in hues of green, purple and gold. Elaborate costumes, floats, and masked marchers on stilts are common images we call to mind when we hear Mardi Gras. In the United States, we think of New Orleans most, that bastion of French Creole culture. However, beneath the din and beyond the bead-tossing, breast-baring antics of college girls "gone wild," we can still hear the beating heart of this mysteriopolis - this city of mysteries. As much as Louisiana's most famous city is known for the debauchery of its revelers, it is equally known for its darker side. The ghosts of pirates long dead who troll claustrophobic alleys, Voodoo queens who still reign over their minions long after passing, and strange creatures said to inhabit the bayous. Nestled between the Cabildo and St. Louis Cathedral lies the darkened passage known as "Pirate's Alley". The Big Easy's most notorious pirate was inarguably Jean Lefitte. This rogue and his raucous compatriots often cut a swath of drunken mischief through the old city. Some say his presence lingers in the alley still, and at "Lafitte's Blacksmith Shop," though many question any real connection to the famed pirate exists at either location. Marie Laveau, famed mamba of New Orleans, makes her presence known still, according to some. At St. Louis Cemetery No. 1, founded in 1789, her tomb is a nexus for Laveau devotees who flock to this necropolis to leave offerings and ask for favors. Some say she can be seen walking among the tombs, or appear in the guise of animals. Nearby Honey Island Swamp is said to be the home of a large, two-legged swamp ape - something like Bigfoot. Those who have had the rare privilege to witness the creature describe it as 7 feet tall, 350 pounds, and covered in long, reddish hair. Some contend Honey Island Swamp is too small to be considered adequate range for such a creature, when considering it is flanked by urban spaces. Nonetheless, the legend persists and the swamp tours continue. 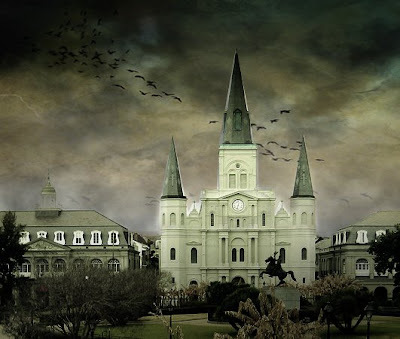 If you find yourself heading to Louisiana - especially New Orleans - check out any number of websites or books to learn more about the numerous myths, legends, and oddities that flood this dark delta with a rich culture of supernatural folklore. 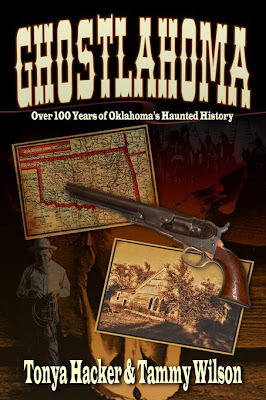 True ghost tales come to light in Ghostlahoma, which makes its debut at the forthcoming Oklahoma Paranormal Conference. 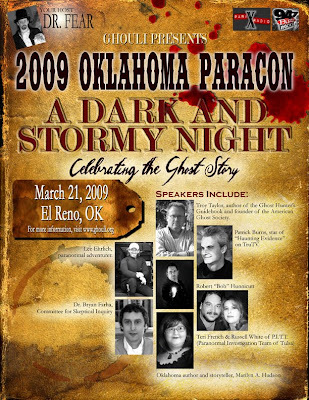 This book, which focuses solely on the topic of ghosts and hauntings, is the brain-child of paranormal investigators, Tonya Hacker (GHOULI) and Tammy Wilson (Eerie Oklahoma). 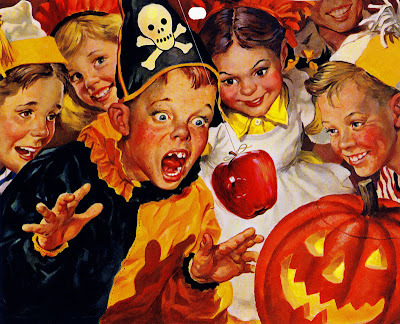 While seasonally out-of-date, we can all enjoy these images for the wonderful memories they bring back. According to UNESCO's endangered language database, a large number of threatened or extinct Native American languages are clustered in Oklahoma. It is sad to see this knowledge slipping into oblivion. The United States, for all its glory, is woefully behind when it compares education to that of other countries, where many students grow up learning two, three, and even four languages. To lose that linguistic legacy, that touchstone to where you come from (assuming, of course, you come from a non-English speaking cultural heritage) is sad in a way. Does it make us rootless, incomplete? Among those Native American languages listed as extinct in Oklahoma, we find: Chiwere, Arapaho, Kansa, Quapah, and Huron. Though the list doesn't account for geographic longevity, we can assume at least some of these languages existed prior to the forced migrations of various tribes to Indian Territory. Other native languages, like Pawnee, Osage, and Wichita are listed as "critically endangered". The best rating they give is still labeled "unsafe," and this is bestowed upon the Choctaw. Of course, UNESCO's gazetteer of languishing linguistics is not solely focused on Oklahoma or even Native American language. The interactive map includes nearly 2,500 langugaes from all over the globe. For Ireland, a place dear to my heart, UNESCO lists the "definitely endangered" Irish (or, more properly, Gaeilge) and the extinct Yola, a branch of Old English that was allowed to thrive on its own in County Wexford until its gradual extinction by the middle of the 19th century. Across the sea, Great Britain has lost Traditional Cornish and Manx, as well as the obscure Norn. The latter was a West Scandinavian branch of the North Germanic languages (along with Icelandic and Norwegian) that was spoken on Shetland and Orknery until about 1850. Great Britain's endangered languages include: Scot, Scottish Gaelic, and Jersey French. In Spain, the threat is to Basque, Aragonese, and Asturian-Leonese. Basque (or, more properly, Euskara) is the last pre-Indo-European language in Europe, Aragonese is a post-Latin dialect that arose in the 8th century, and Asturian-Leonese is another hold-over from Latin that evolved on its own. If you have an interest in languages, culture, and history, I urge you to check out this fascinating database. Who knows, it might prompt you to learn a second (or third) language. Maybe you will help save a vanishing language. I hear only about 15 septuagenarians speak Aramaic. Google's topographical ocean map software, which must have a 'fresh paint' sign on it somewhere, has already generated buzz among Atlantis proponents: click here. I will be heading this way in April on a transatlantic crossing. I will have to keep my eyes peeled for any strange goings-on. 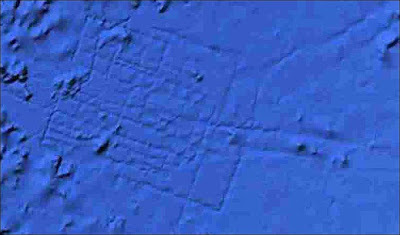 Of course, you will no doubt note that this fragmented grid in no way resembles Atlantis, as described by Plato. But, of course, he came long after its supposed demise, so what did he know? Early in the morning on Sunday, February 15, 2009, an inexplicable "fireball" careened across the expansive Texas skies. Federal Aviation Administration authorities have no explanation as to the object's nature or origin, but don't deny eye-witness reports. While authorities disregard any connections between this incident and the collision of US and Russian satellites earlier in the week, the FAA nonetheless issued a blanket warning to pilots on Saturday to be on the lookout for any debris that may re-enter the atmosphere. Elusive UFO Maneuver or Sad State of US Schools? 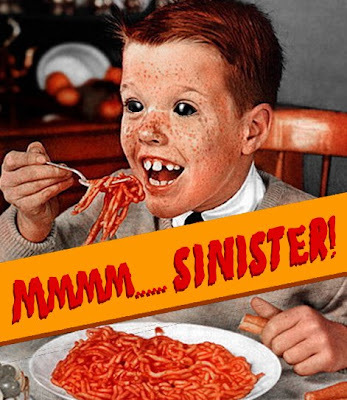 This was posted over at Phantoms and Monsters. The subtext indicated that there is a white spot (presumed to be a UFO) in the sky prior to the cloud formation and that it was creating the cloud in order to hide. What I see is a tiny speck of condensed water vapor at the onset of the video, quickly followed by more condensing water vapor. I assume everyone knows how clouds form? So, when the ignorant fellow on the video says 'there are no clouds in the sky', as if that somehow heightens the mystery, I have to seriously wonder about the educational system in the U.S. Clouds aren't animals. You don't need to see a mommy cloud and a daddy cloud for a baby cloud to form. The report comes from a fairly new blog entitled "OK? Awesome!" I look forward to seeing what other tales will come from this new site. The story also reminds me of an H. P. Lovecraft ghosted work involving a half-man/half-snake creature that was also set in Oklahoma. You will be able to read more about that story in the forthcoming work, Stranger State: More Mysteries and Legends of Oklahoma, due out later this spring. Worker's Spirit or Technical Trickery? You Decide. Black Eyed Kids Are Back! Bourgeoning paranormal investigator and would-be cinematic auteur Brandi Lynn Borgia (Acid Entertainment) ponders the mysteries of life-after-death with her spirit friend Virginia. Seems like they're putting together quite the Ufological cottage industry out there in Phoenix, Arizona. Despite prosaic explanations, these mystery lights, which show up every few months, continue to baffle these desert denizens. This is one of many images captured on January 30, 2009 from the Phoenix Visiblity Web Cameras. The strange light formations were captured by a camera aimed squarely at Camelback Mountain. 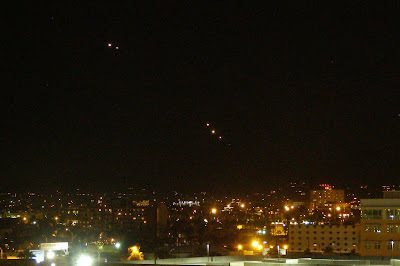 Are these more military flares, strings of Chinese lanterns (January 26th began the Chinese New Year), or truly something not-of-this world. With so much interest, and so many cameras now trained on the phenomenon, it may be only a matter of time before this controversy is at last laid to rest.